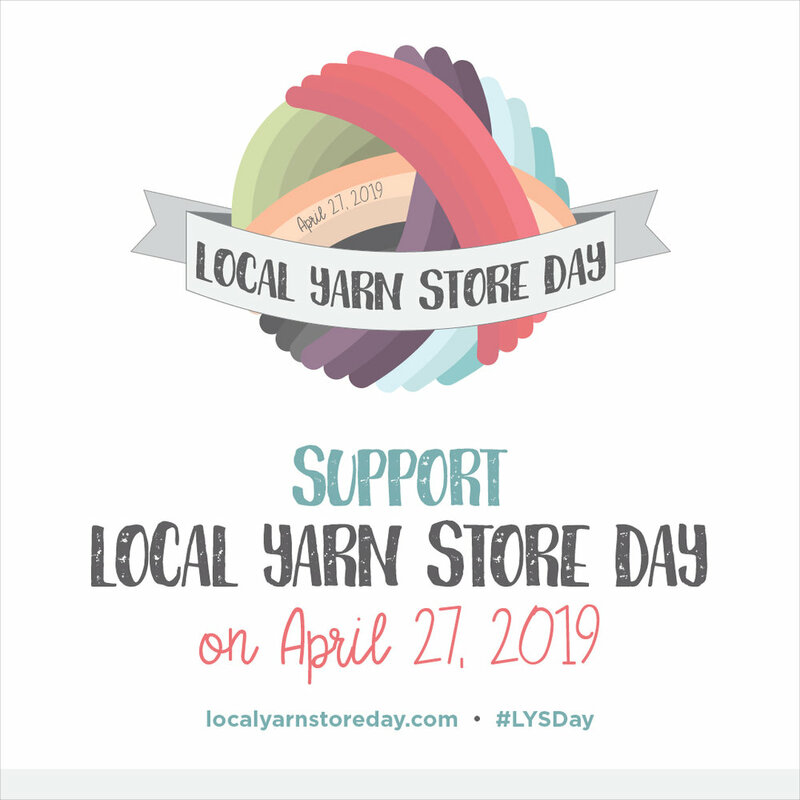 Yarn Folk | Thank you! Join us in person or virtually for this Mystery Knitalong using four skeins of Kenzie to craft a cabled pillow. Find more info here. Join us for a fun evening throughout Downtown Ellensburg—in addition to hosting our regular Thursday Social Stitching, we’ll have refreshments, prizes, and more! Studio DK is put up in 4 oz skeins with 275 yards, and is a superwash merino with a nice twist. Having cast on three things in the last ten days, I haven’t wound the yarn yet, but it is set aside, waiting patiently for its turn on the needles! Making No. 7 will be available Friday, April 19. From now until May 19th, we have a fantastic trunk show from Blue Sky Fibers, featuring garments and accessories in Woolstok. The Vermillion Vest comes in three flexible sizes—XS/S, M/L, and XL/XXL, and takes 9, 10, and 12 50g skeins of Woolstok. The front is a waterfall style, and the fabric combines simple rope cables with stockinette. At nine skeins, the Endless Wrap is generously sized, and the US 11 needles yield a drapey and soft fabric. The stitch patterns are elegant and more than one knitter has described this project as great television knitting! The Janesville Jacket is a “one size fits most” kimono-style jacket which lets you combine any two of Woolstok’s 21 one colors. It’s all seed stitch, and the construction is simple, with only a couple of tiny (tiny!) seams to shape it. Easy to dress up or down, too. The Trimont Snood is part cowl, part capelet, part hood, and uses four skeins of Woolstok. It features gentle shaping, and a seed stitch panel to lend just a bit of interest. This is a really appealing and versatile accessory! Just picking out the yarn was fun, but now that the knitting on Arcana has begun, it’s even moreso. I’m only just in the “Mosaic Moons” stripes, but watching the color relationships develop is mesmerizing. I can’t wait for the “Brioche Lace Moons”! I’m combining two colors of Malabrigo Sock (Cote d’Azure and Marte) with a skein of Neighborhood Fiber Co. Studio Sock (Basquiat). This is my first chance to work with the Neighborhood Fiber Co. Studio Sock, and I loooooove it. Bradford Road section one is DONE! In any case, transferring to scrap yarn and seeing it spread out flat is very satisfying….